South Florida’s premier horse boarding facility. 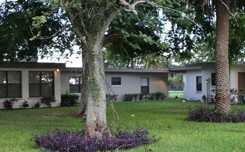 The 60 acre working horse farm and equine preserve is located in Delray Beach, Florida. We focus on providing the ultimate horse boarding setting. Features include large lush pastures, spacious airy stalls and the highest quality hay and grain. The farm offers extensive trails and large, well manicured open spaces for ground work, dressage, jumping and training session. 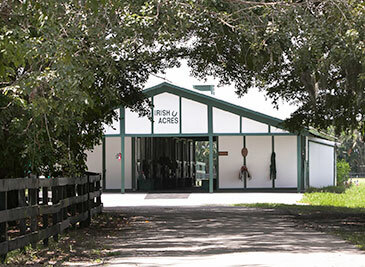 Irish Acres is a premier South Florida horse boarding farm and stables. 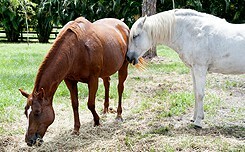 The 60-acre working horse farm and equine preserve is located in Delray Beach, Florida. At Irish Acres, we believe strongly that "it's all about the horse." After spending hours foraging in large lush pastures, your horse will return to our newly remodeled barn. 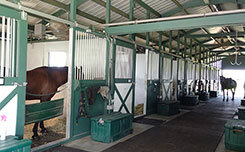 Our Delray Beach stables offer spacious and airy stalls. Featuring the highest quality hay and grain, in addition to grass, each horse's diet is customized based on their individual needs. Our Delray Beach horse farm offers extensive trails and large, well manicured open spaces for ground work, dressage and jumping. 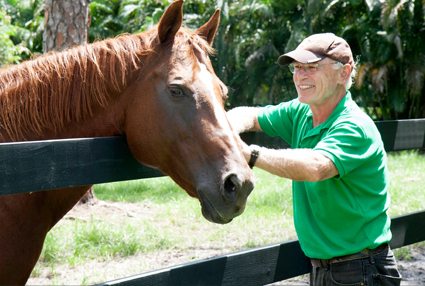 Conveniently located in Palm Beach County, Irish Acres horse farm is close to Boca Raton, Boynton Beach, Pompano Beach, Coral Springs, Wellington and Broward County. Our unique South Florida horse boarding stable offers extensive trails, a remodeled barn (2015), and 11 pastures ranging in size from two to five acres. View our photo gallery to see our beautiful facility. Our beautiful South Florida equine preserve is the premier place to board your horse in South Florida. Irish Acres offers an extensive and beautiful trail system on the farm, connecting to miles of riding off property. There are 11 pastures ranging in size from two to five acres. Two acres of pasture are allocated for each horse. When not in the pasture, your horse will have a large airy stall in our recently expanded and remodeled (2015) barn. 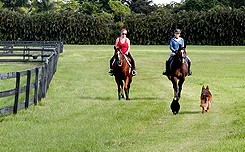 Contact us to learn more about horse boarding at Irish Acres of FL. Serving Palm Beach, Martin and Broward Counties.